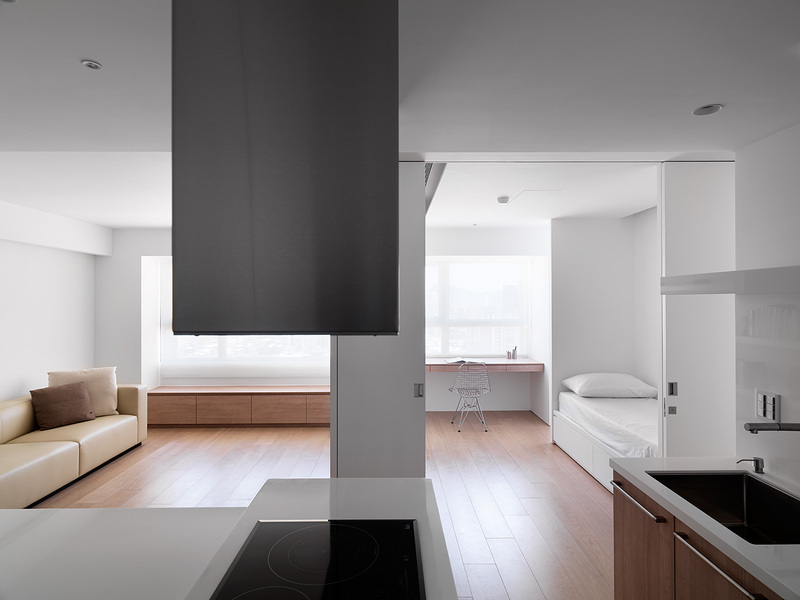 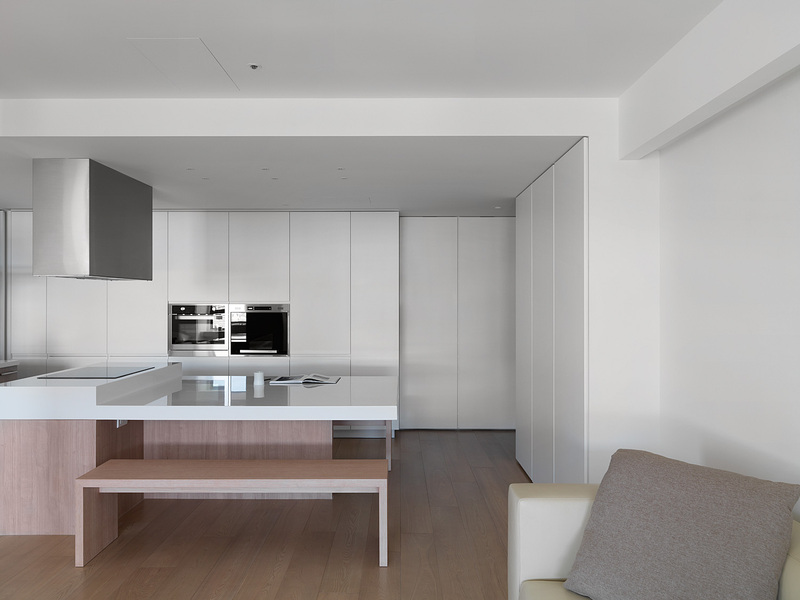 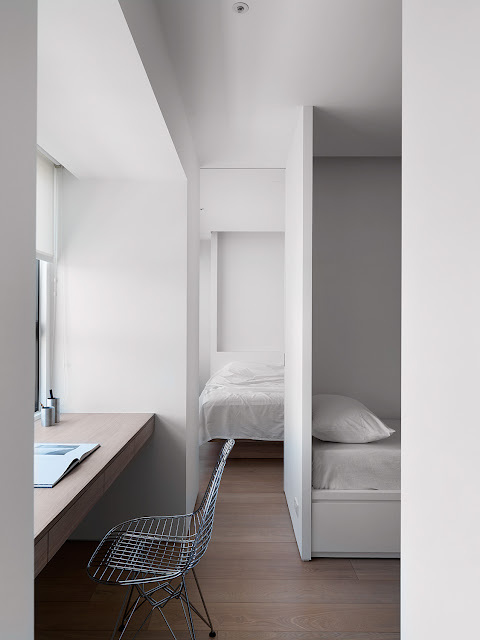 Architect Marty Chou designed KT Apartment, a minimalist home of 70m² interior space in Taiwan, for a young couple, their future child and a dog. 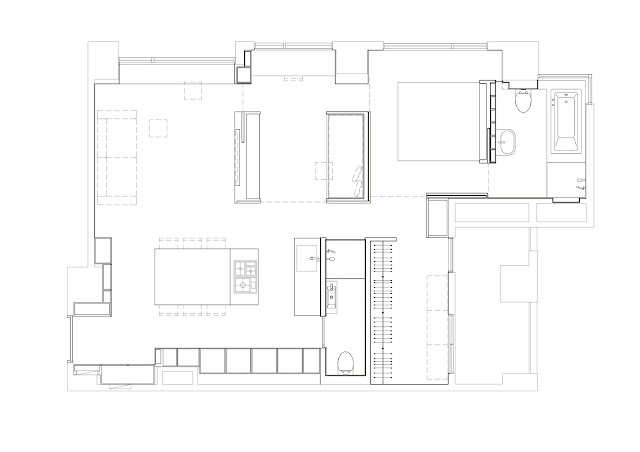 This project is about designing a home for a young couple, their dog, and future child within a 70 m² interior space, and how to make space within such a limited condition to create an unique living experience. 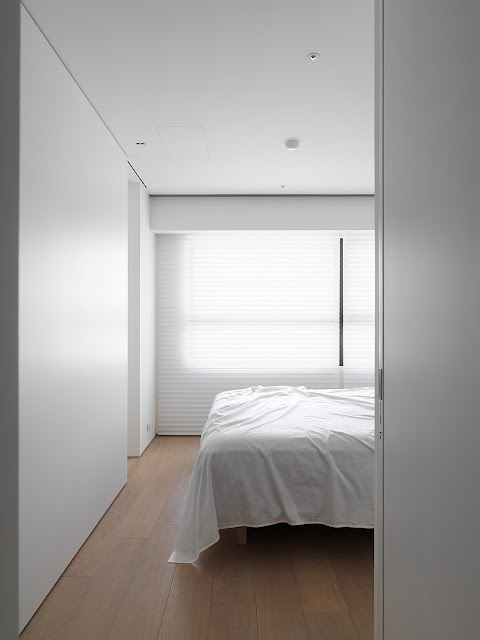 “Public, private, cook, eat, sleep, bath, and work” ‐ all these basic everyday‐needs, if not divided by walls and rooms, interesting things start to happen: functions are rearranged, space is released. 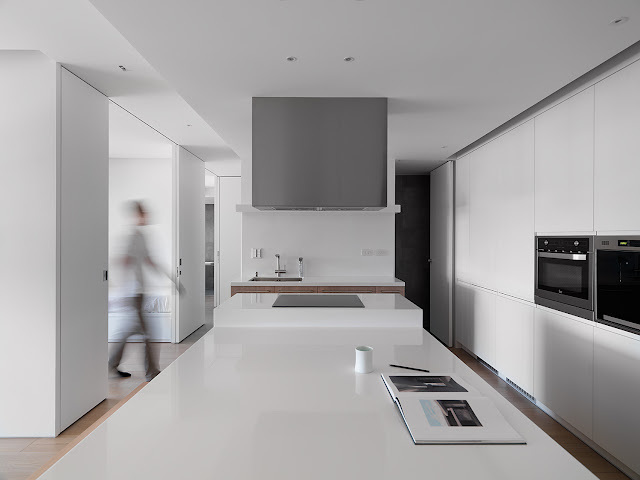 We organize a series of functional blocks throughout the entire apartment to condense functions, the interior then become a bit like a small city ‐ functional blocks are as architecture, space around them are as public space where daily‐life happen. Living amid them resemble roaming in the street and alley, at times wanders into open spaces, at times spots surprises around the corner. 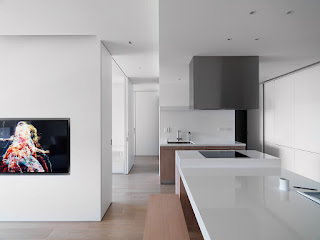 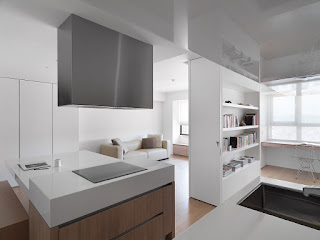 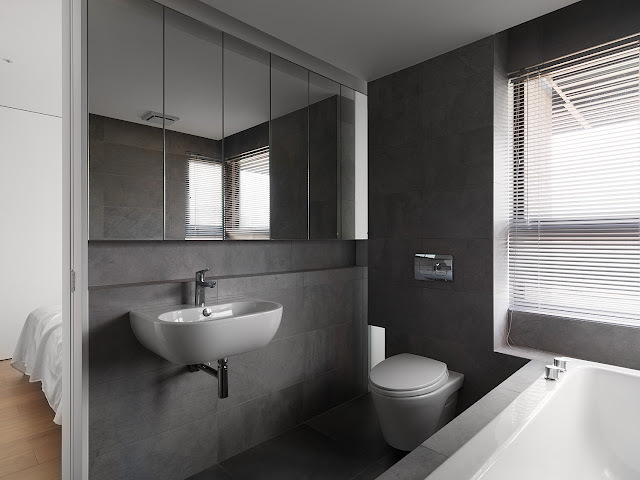 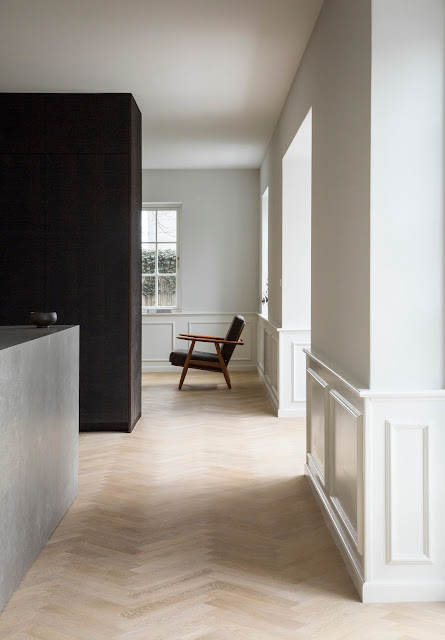 It is interesting to find how similar interior design and urban planning could be, and it is surprising to learn how a limited space could become so spacious. 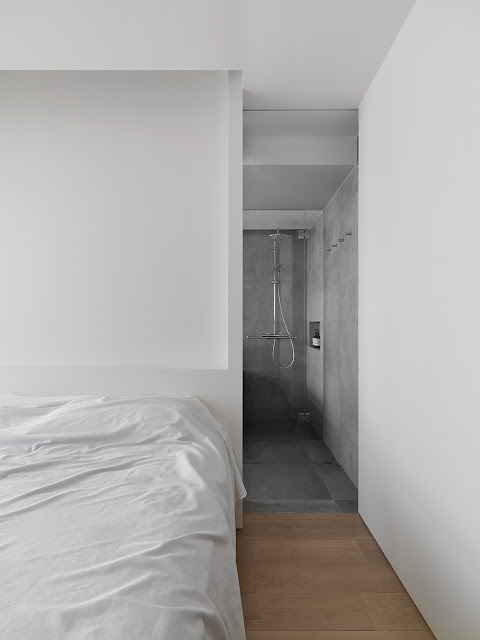 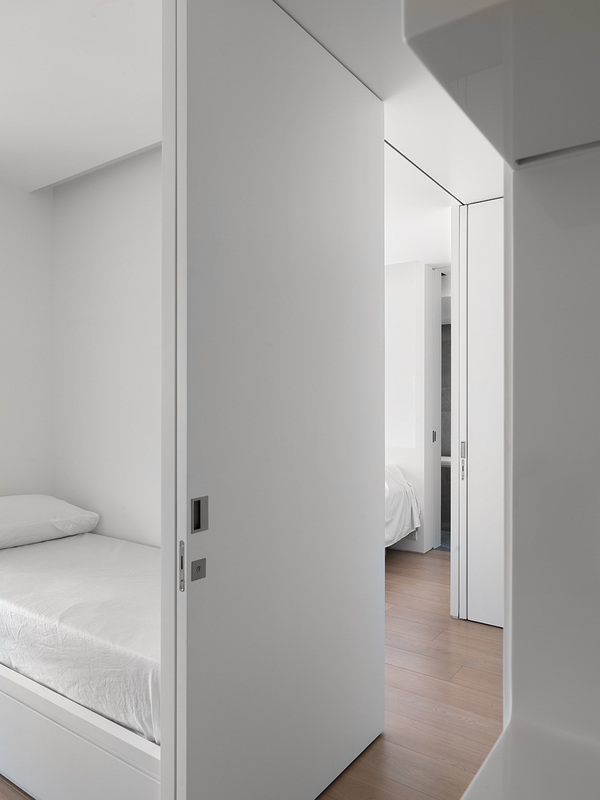 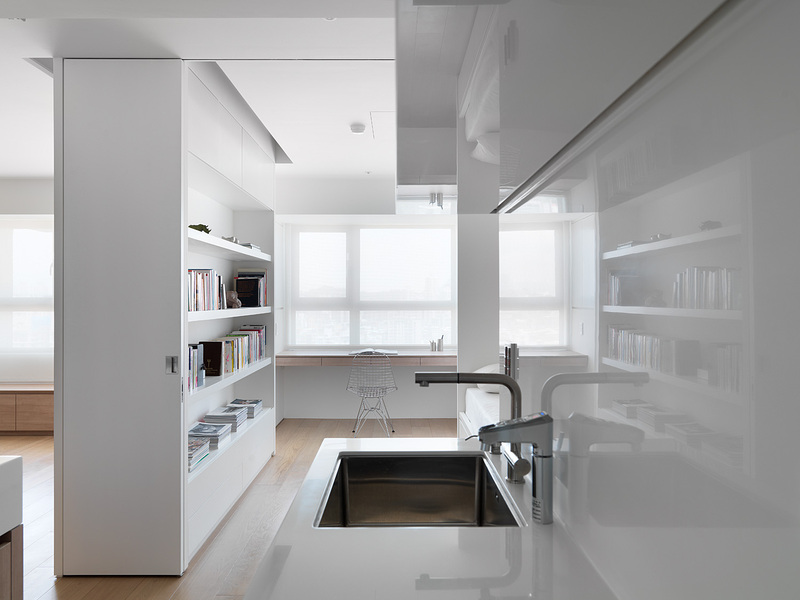 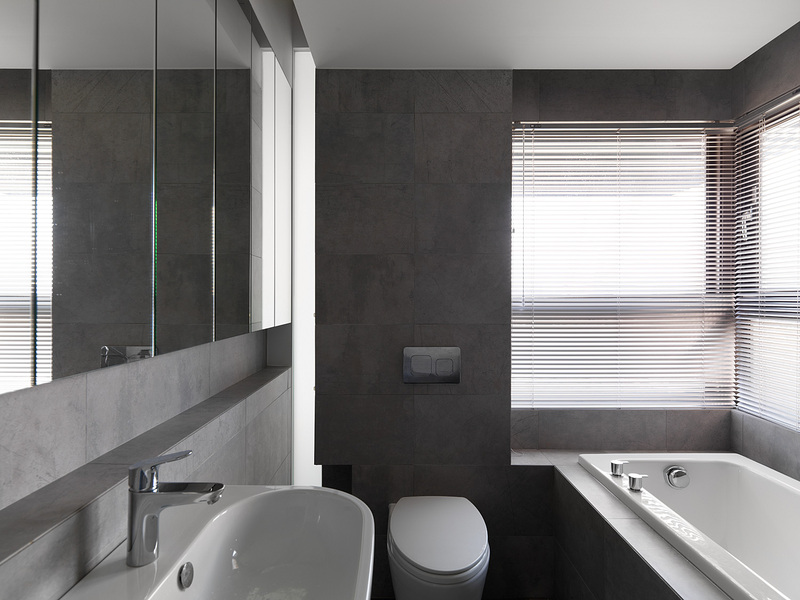 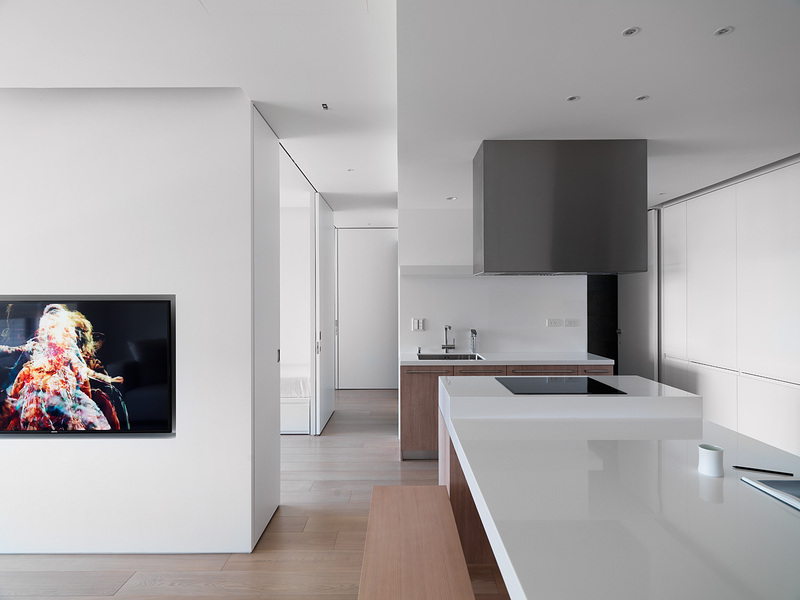 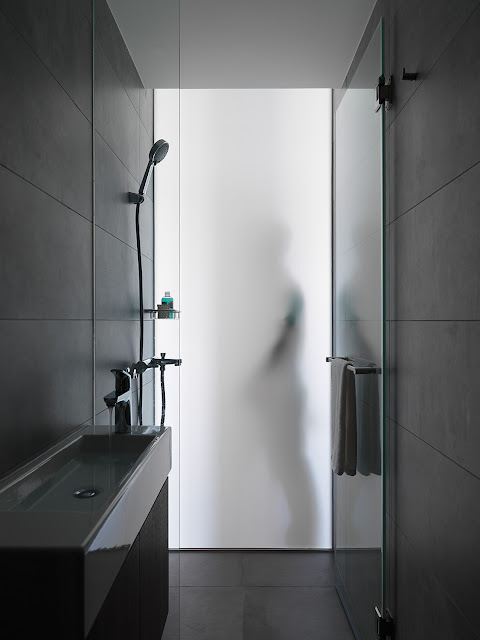 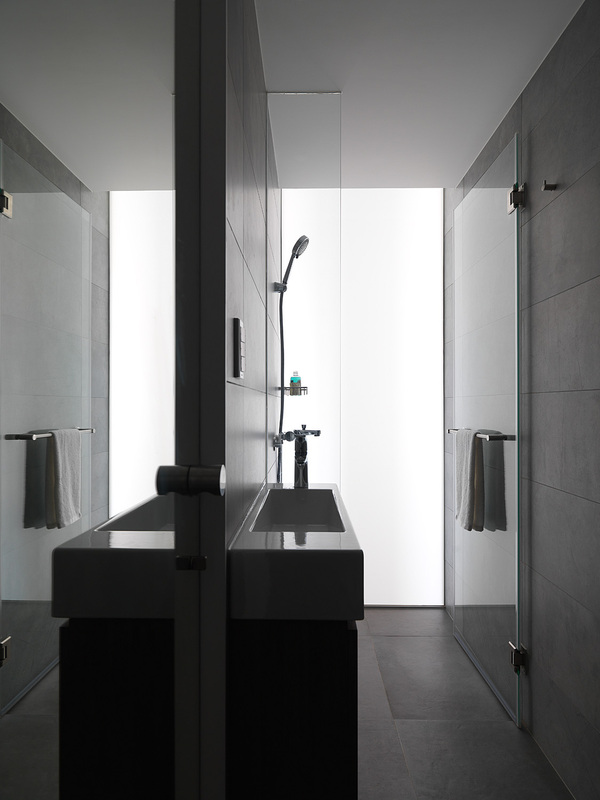 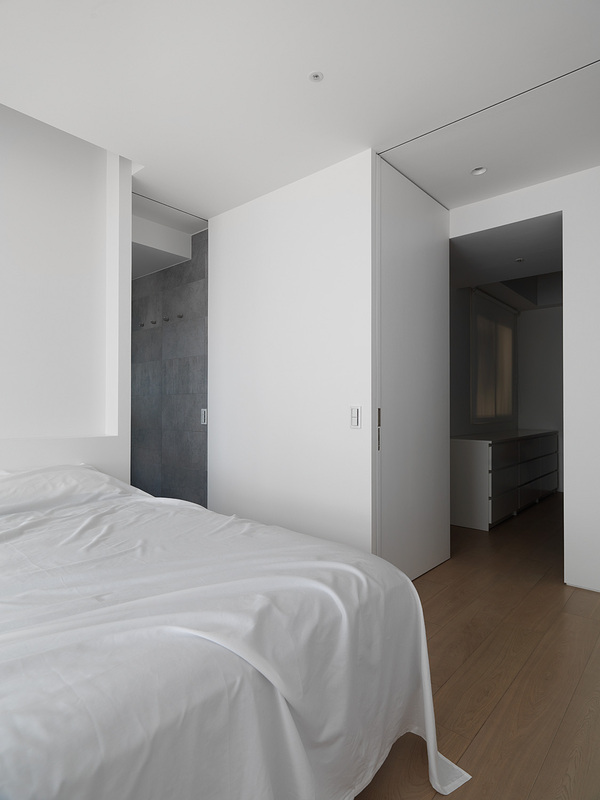 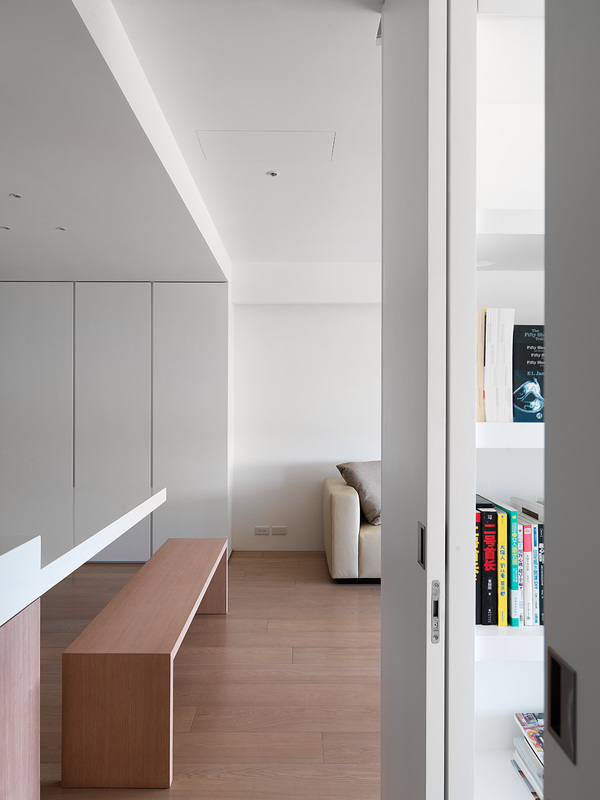 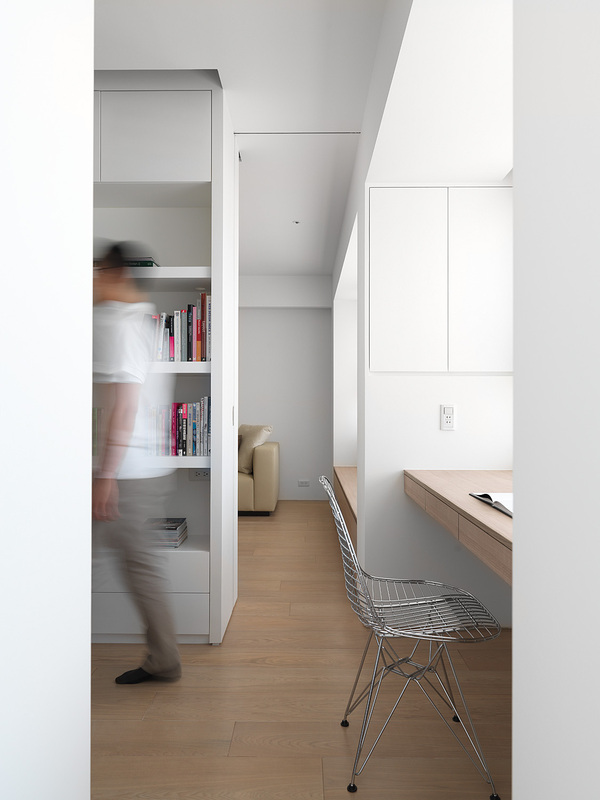 Although the entire apartment is one singular space, there are hidden sliding doors when privacy is needed, and is able to transform into 2 separate bedrooms.